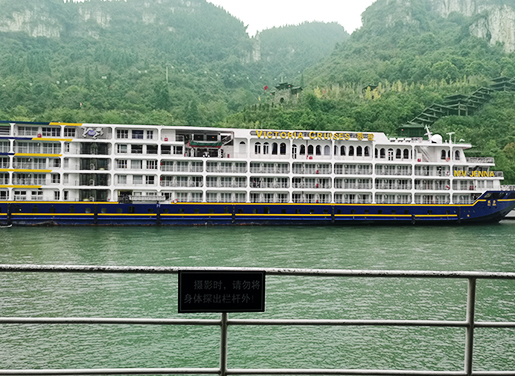 I traveled on the Victoria Jenna from Yichang to Chongqing in November. Victoria Cruises is the only American cruise line currently sailing China’s Yangtze River. I am so surprised by their service. 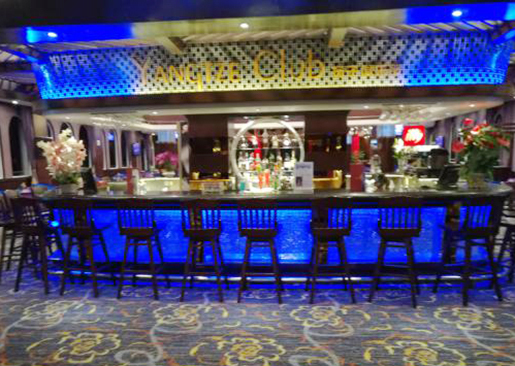 Staff onboard were extremely friendly and helpful, Most of them can speak fluent English. So It’s unnecessary to worry about English barrier. 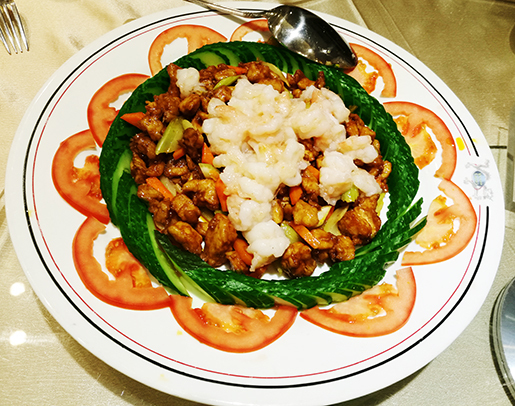 Food was great and caters to both western and eastern tastes. 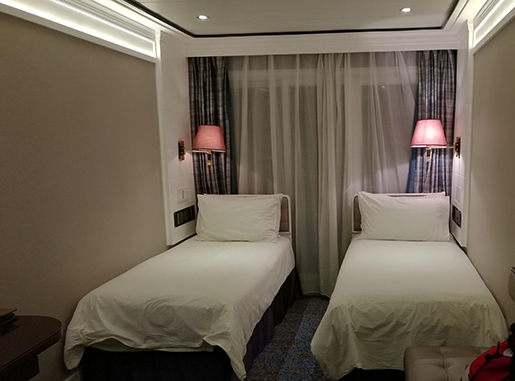 Luckily, we are assigned to a cabin on 3rd floor, room size is limited, but the rooms were extremely clean – a pleasant hotel quality with beds, small couch, desk, and even a tub in the bathroom. Each cabin had a small balcony where we spent a lot of time. Very plenty. 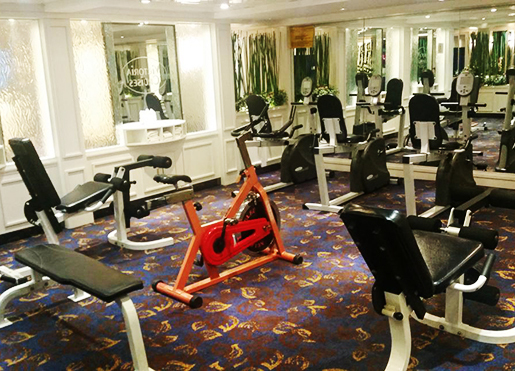 gyms, libraries, lounges, business centers, shopping area, hairdressing, spa & beauty salon, sun deck, movie theatre and bar where some performance are hold there. The best thing about the cruise is of course the breathtaking views and the spectacular dam. The cruise offers one shore excursion per day included in the cost and one shore excursion that is extra. All of the excursions had local guides who were bilingual and spoke English very well. Morning visit to the Three Gorges Dam at Sandouping, the largest in the world. 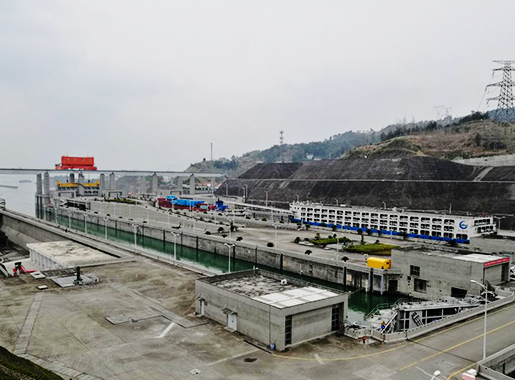 A highlight was the locks at the Three Gorges Dam. It’s one of those things you have to see one in your life. It is a true marvel of engineering. 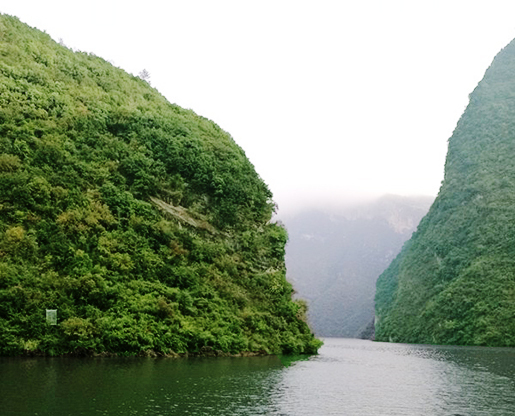 Day 3 – transfer to another vessel for a relaxing excursion through the attractive gorges of of Shennong Stream. The height of the cliffs is impressive. What fascinating were the coffins high up the cliffs in apparently inaccessible locations. The tour ends at what is really a tourist trap situated beside a genuinely attractive lake. 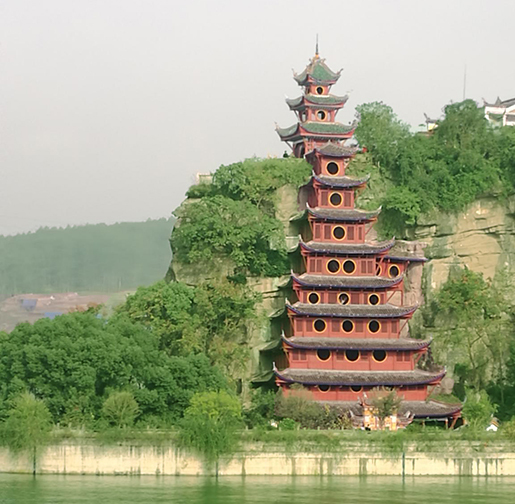 Take a shore excursion to Shibaozhai Pagoda, with its impressive wooden pagoda, appropriately named “The Pearl of the Yangtze”. We stopped at the Red pagoda in Shibaozhai which was great walking up to the town lined with street vendors and crossing the wobbly bridge. We climbed 100 steps on wooden stairs to the top of the pagoda and enjoyed the views around. Entertainment was provided in the evenings in bar which we enjoyed. So you won’t feel boring at night. 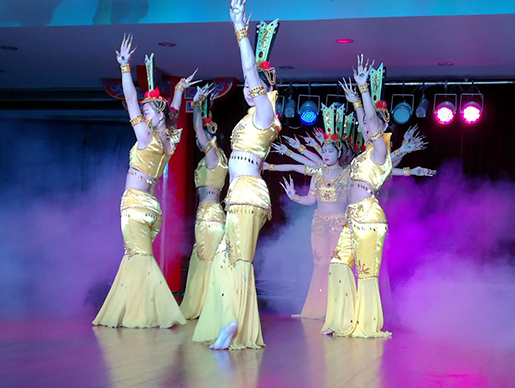 A traditional Chinese dynasties show on one night and a cabaret the next. Crew were remarkably talented. My cruise trip is closed to end. Time flies, I sincerely hope time can stop this moment. But it is impossible. The pleasant trip and breathtaking views will be always remain in my memory. 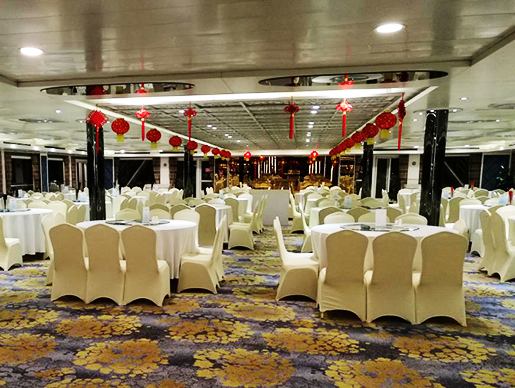 If you are interested in a full relaxation on Yangtze River Cruises, you can head to our Yangtze River Cruise Tour with different cruises for you choice. 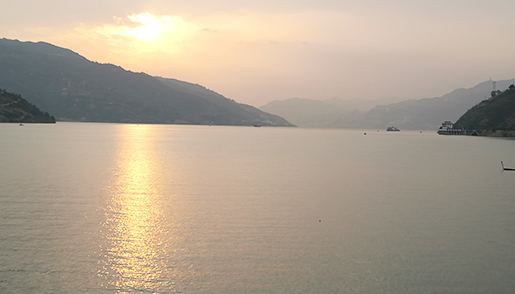 Feel free to select your favorite to explore the beauty of Yangtze River! Want to know more about the experienced travel expert Catherine’s trip? You could just contact her directly. 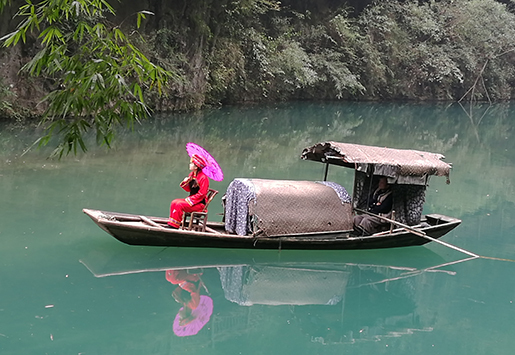 This entry was posted in china tour, travel experience, travel guide, yangtze river cruises and tagged Victoria Cruises, Yangtze River, Yangtze River Cruises by Travel Expert. Bookmark the permalink.